An engaged and ambitious group for more experienced young instrumentalists, exploring a range of orchestra repertoire. Entry is by audition. This group rehearse and perform a diverse range of string repertoire to challenge and inspire young musicians who play violin, viola, cello or double bass. Entry is by audition. 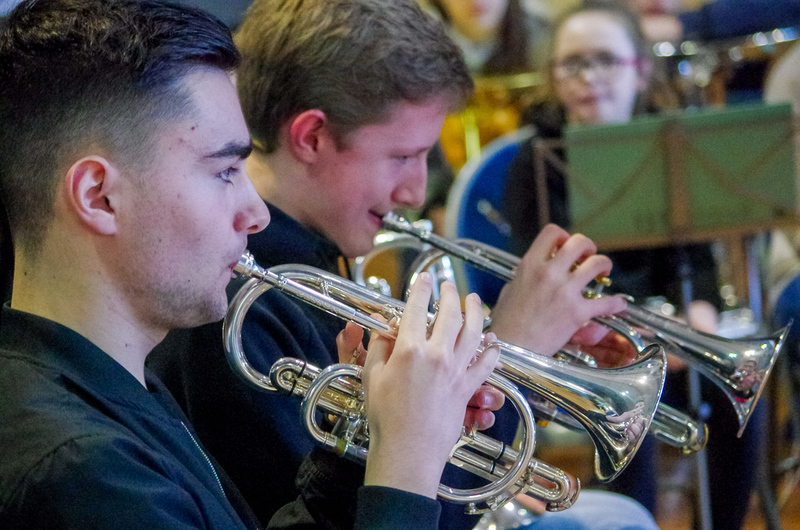 A great opportunity for young brass, woodwind and string players to develop their skills, playing a wide range of music together in a relaxed environment. Tuition is available on woodwind, brass, guitar, strings, keyboard/piano, drums.